After a bit of unwinding in the spa, we nipped back to the cottage to get ready for the meet and greet at the academy kitchen. Armed with a glass of bubbly on arrival, we got to see the ribbon cutting of the kitchen from chef and owner of the Corran. We all got to introduce ourselves to the rest of the students for the weekend then Jean-Christophe talked to us about how the Academy came to be. 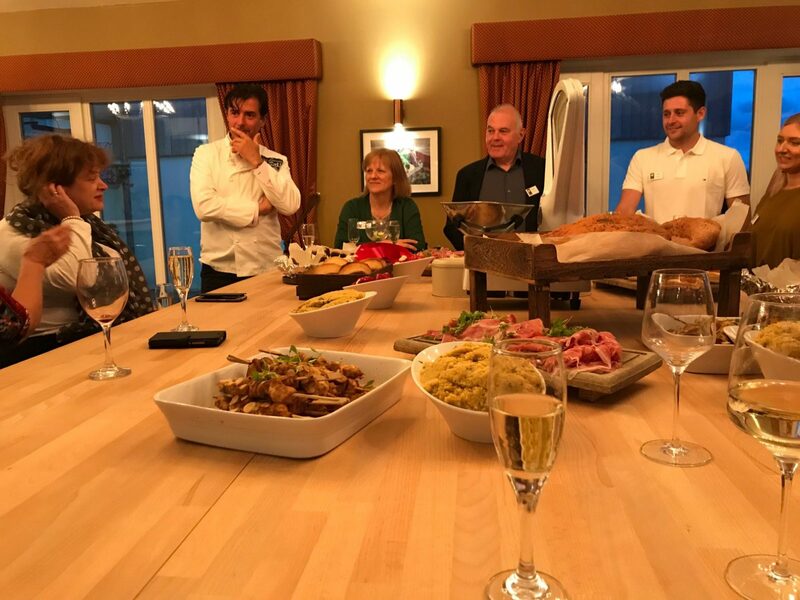 This was chance meeting with head chef of the Corran at an airport, where they got talking and got invited to visit the resort. He also spoke a bit about his cooking style and healthy lifestyle he aims to promote during our tutored cooking session the following day, which tries to dramatically reduce our intake of salt from cooking. After being acquainted with each other, we were allowed to feast on the table of food that had me salivating for the past hour during the introductions. I’m a sucker for a buffet and although there weren’t any cheese and pickle on a toothpick or part baked sausage rolls I absolutely annihilated the wheels of gooey camembert the size of my head, moped up with fist sized pieces of fresh focaccia, meats, olives and a mountain of slightly more impressive items i’ve never had in a valleys 50th birthday shindig. A few more glasses of bubbles were consumed before we retired to our luxury farmhouse cottage to catch a few winks before a busy day ahead of us. After an amazing breakfast of smoked haddock and poached eggs, we convened at the Academy kitchen, located next to the spa at 11 for a brief run through of the plan for the day. Being the first ever class, the timings and schedule were a work in progress. 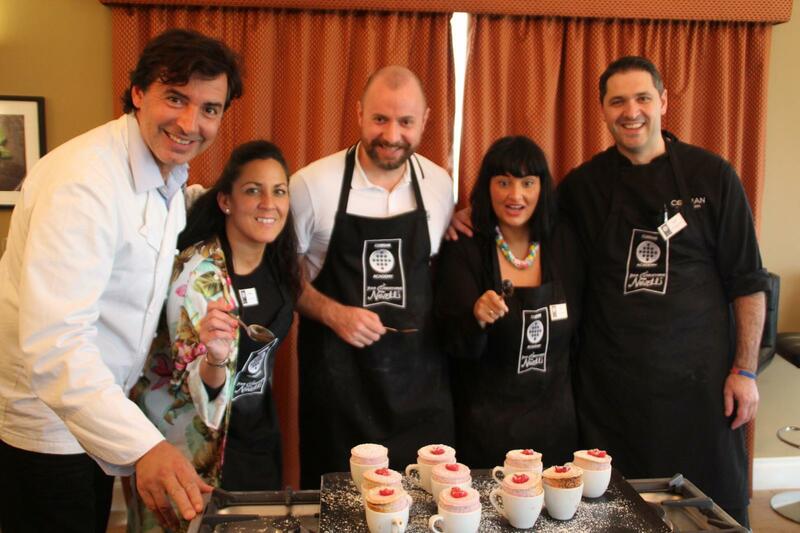 We were to have Jean-Christophe and the head chef talk through a fair few techniques and dishes, where we would then have the chance to have a go ourselves and get a chance to taste our little masterpieces. First on the cards for the culinary lessons delivered by Jean-Christophe was caramel. I’d made some alcohol spiked salted caramels in my time and a black toffee apple for halloween for my sister once so I was aware of the process.I’d usually use a sugar thermometer that I held, nervously inches away from liquid sugar magma till the contents of the pan hit that precious marker on the thermometer. This time however we were letting our senses guide us as to when the caramelised sugar was at the optimum temperature and consistency. Another thing we learned though was that the type of sugar used along with the surrounding humidity in the room also influenced the final result. I’d just go for a bag of silver spoon granulated sugar in the past but Jean-Christophe and head chef Syril use something called isomalt that is a sugar substitute that is cleaner mix that gives the perfect glaze and cloud free finish. The caramel can be used as the base for many a dessert or decorative purpose. We were shown how to make a apple tart-tatan in a pan then over. We also allowed the caramel to cool slightly before some of us got a chance to shape to shape it into sugar baskets and spring like sugar ornament. Next up was a crash course in making the French favourite, chicken balloutine . A deboned chicken leg, stuffed with sweet potato and rolled into a sausage like parcel that is poached for around 10 minutes then left to cool. It can be made ahead and stored in the fridge for several days before it can be unpacked from the cling film and browned in a pan. Ideal for dinner parties and two days later, since i’ve been coaxed into organising our works Christmas dinner it’s featured on our chosen menu as the main course but substituted for Turkey instead. It was now time for us all to get our hands dirty, by learning something that I will find massively beneficial, filleting a whole fish. I really enjoy fish, but I just stick to pre-filleted fish and that’s only once in a blue moon. 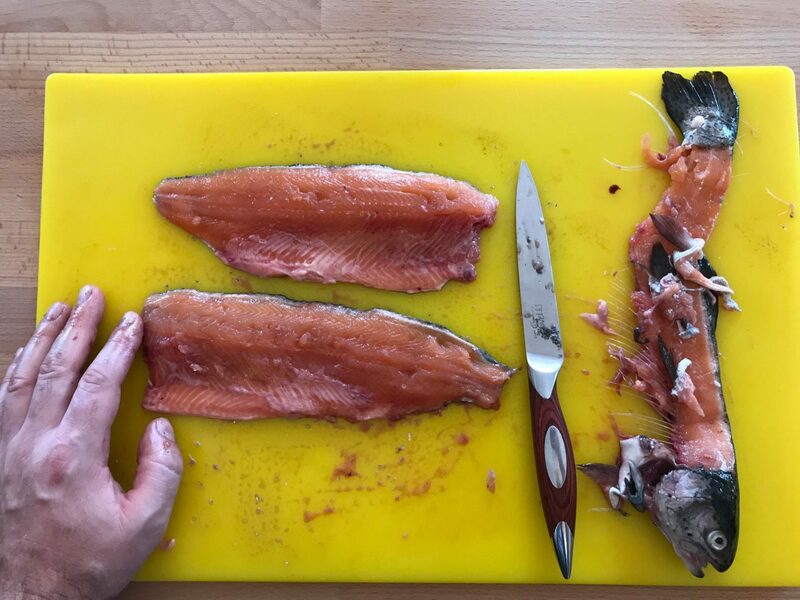 Buying whole is usually much more economical too, as i’ve seen two whole seabass for the same price as two fillets recently in M & S.
Jean-Christophe showed us how to gut the fish then fillet. Luckily for us, we didn’t have to gut the fish, we just did the filleting. I didn’t do as bad as I thought I would be we were told that trout is one of the hardest to fillet due to the bones. Not sure if that was true or just to make me feel better but I was happy with my effort. Keeping in with the seafood theme, we now got to make a seafood dish of king prawns, scallop and salmon (even though the pink fleshy fish is usually of the menu for me) topped with ratatouille, mozzarella and fresh herbs of our choice. 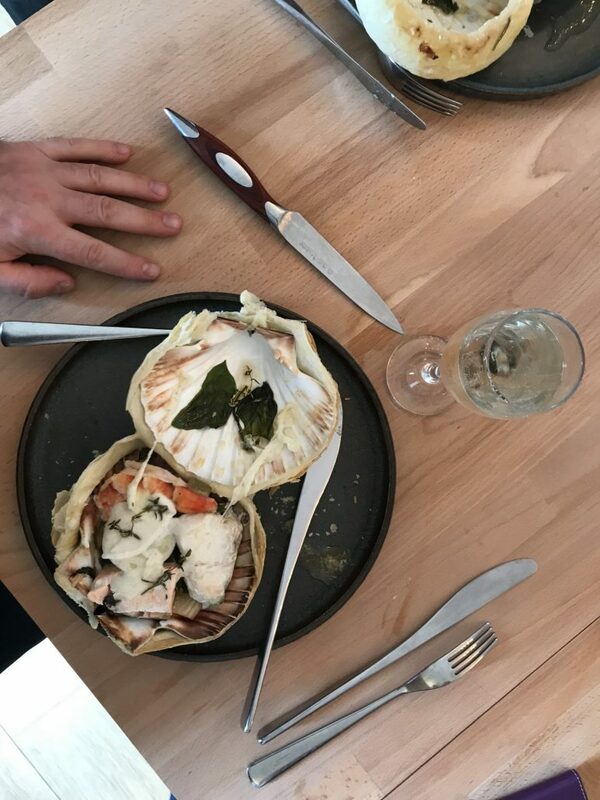 The scallop shell was sealed with a ribbon of pastry, so that the fish steamed inside the shell with the fresh herbs adding a fragrant, herbaceous perfume. Again, the idea was to cut down on the amount of salt in the dish so there was no seasoning with salt. We got around this issue by using olives in the mix, which are naturally salty. I hadn’t eaten since breakfast, so it’s fair to say this didn’t touch the sides. I even ate the salmon, which when steamed with all the herbs and other fish was more than agreeable. 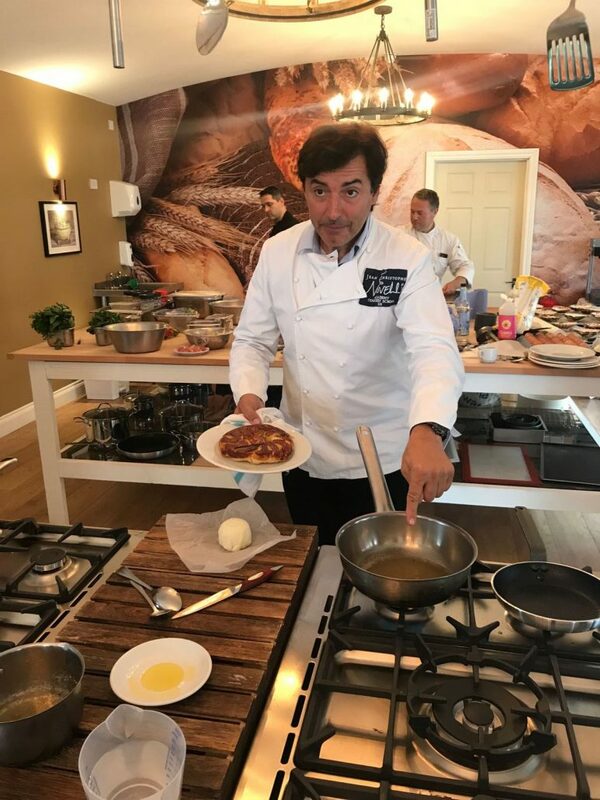 The Jean-Christophe Novelli Academy at the Corran Resort is going to headed up by head Chef Syril in Jean-Christophe’s absence, so it was time to hand the over gloves over to Syril for the next dish. I love scallops, so I wasn’t too disappointed scallops were in the next dish too. 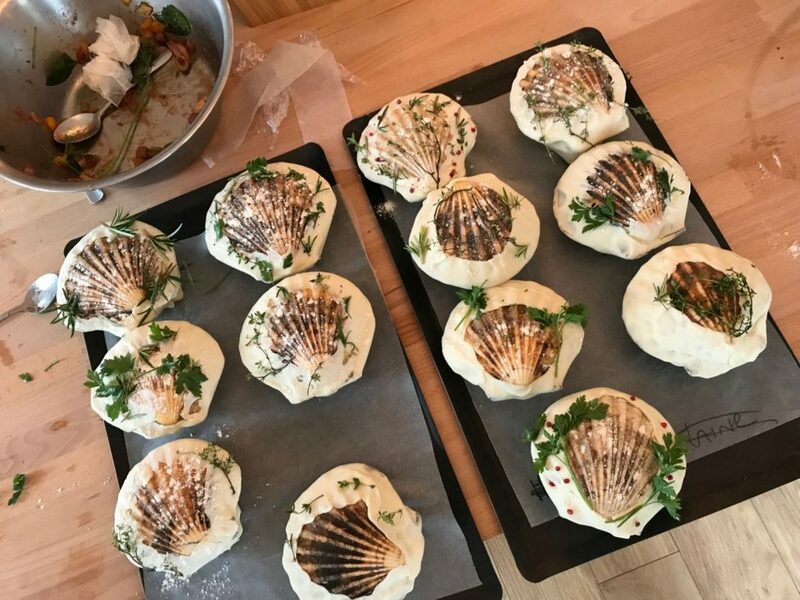 This was a chance to learn how to cook the perfect scallop in a pan with a lovely golden crust, yet soft and tender in the middle. I learned to dry my scallops first and use a good quality, hand dived scallop as mine usually end up with a lot of liquid in the pan that just end up stewing, without a nice sear on them. 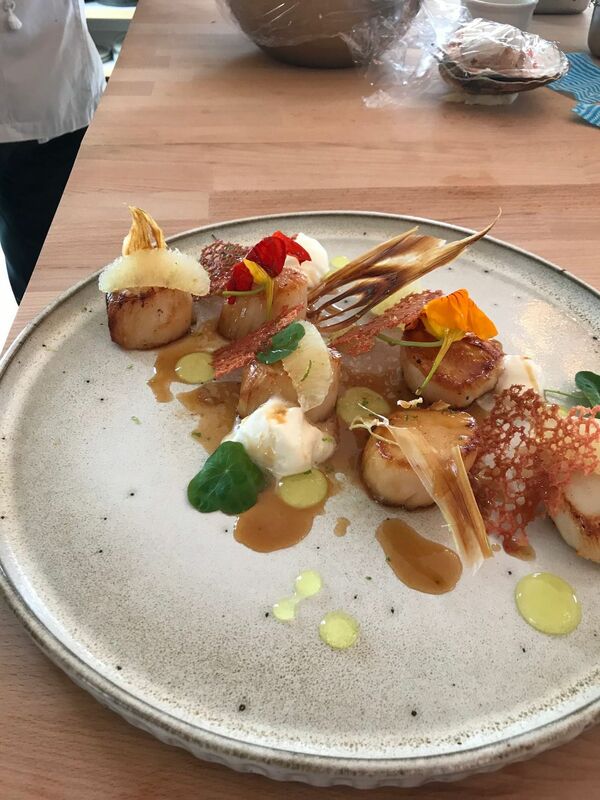 A scallop starter dish would only usually have two pieces but this was a sharing platter for us to savour between us. 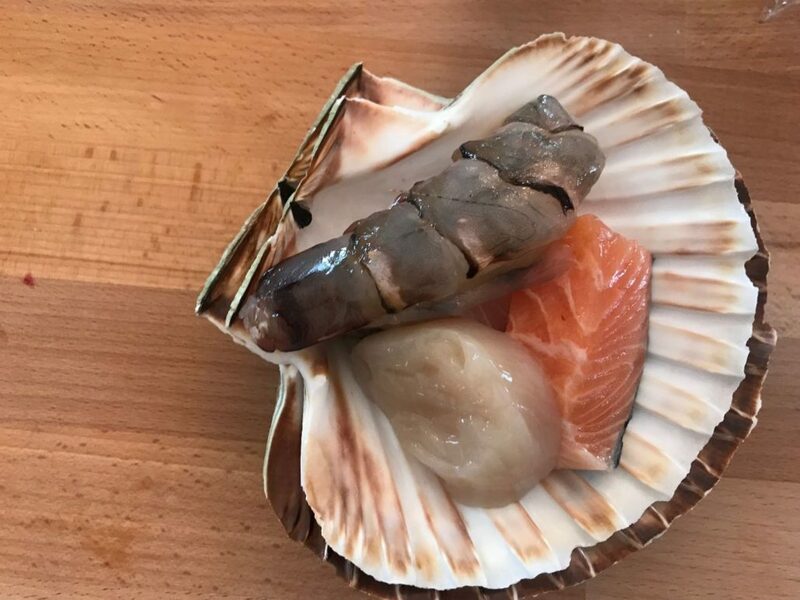 The scallops were seared in the pan and plated beautifully with an intense chicken consommé that they create with 24 hour roasted chicken bones. To go with it, he served shaved, crispy fennel shards, a fruity gel, aerated white foam and grapefruit. The finished product was absolutely delicious. My only issue was I didn’t have the 8 scallops myself and had to share them. I’ve never, ever made pasta. The reason being, I’m too tight to invest in a pasta machine. Little did I know, you can make a decent attempt with your bare hands, a rolling pin and some elbow grease. After a quick demo by Jean-Christophe’s brother from an Italian mother, we were handed some eggs, a bowl of flour and a rolling pin. After making a little well in middle of a small pile of OO Flour, we cracked an egg in and swirled it with our fingers, to incorporate the two together. Adding a little flour at a time, until I got the right consistency, it was time to start the needing by hand. Instead of getting the the pasta rolling machine out as I’d seen so many times on Masterchef recently, we got to work with a rolling pin on the two balls of dough. 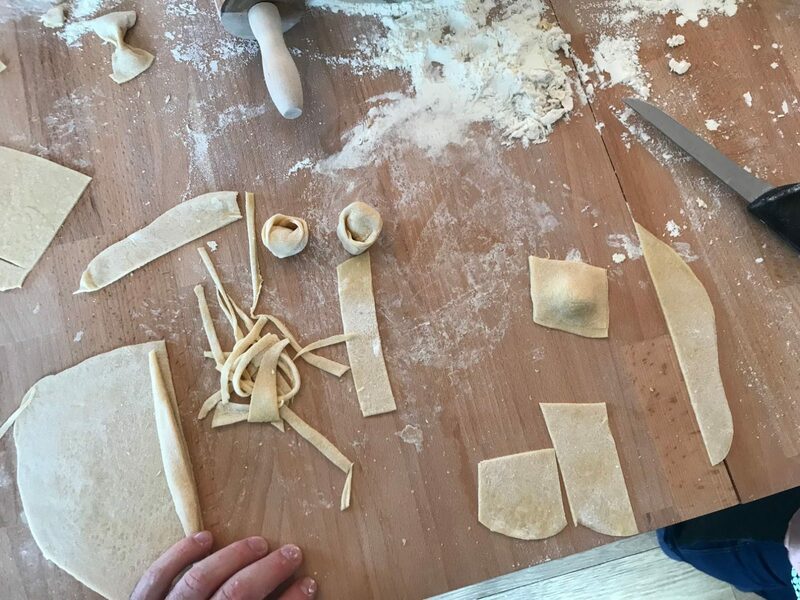 After I got the thickness I wanted, we got some tips on making some of the popular types of pasta shapes. I’m definitely going to give this a go when I get back, especially attempting some filled tortellini or raviolli. the best thing is, it only takes a couple of minutes to cook too. Being pressed for time, last up at the academy was a fruity soufflé. We didn’t get to make them ourselves but we got some really good tips on a dessert I really enjoy eating, but always avoided, due to their well known difficulty in mastering. The secret to having that perfect, equal elevation that keeps it’s volume is the addition of corn flour to the mix. This goes in with the addition of freshly blended berries and making an indent to the edge of the mix so it rises equally. True to form, the soufflés came out perfect. An equal elevation that kept it’s shape for ages after coming out of the oven. It didn’t half taste bad either to be fair. 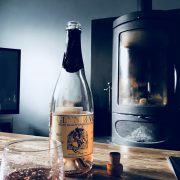 What can I say about this weekend dedicated to my favourite thing in the world, curated by a 4 Michelin Star Chef in a luxury spa resort, staying in an epic two story cottage with a log burner? It was off the scale! I’d say my brain is thinking about food 99% of the time I’m awake, and 100% of the time I’m asleep. I’ve wanted to attend a cookery school for some time now, to learn some new skills and hone in on some i’ve probably been doing wrong my whole life. It’s not very often you get an opportunity to learn from a chef who has a total of 5 out of a maximum 5 AA Rosettes either. This was the first course they have run at the Corran Resort, but seeing that they’ve built a swanky new kitchen and academy, they will be running a fair few in the near future. 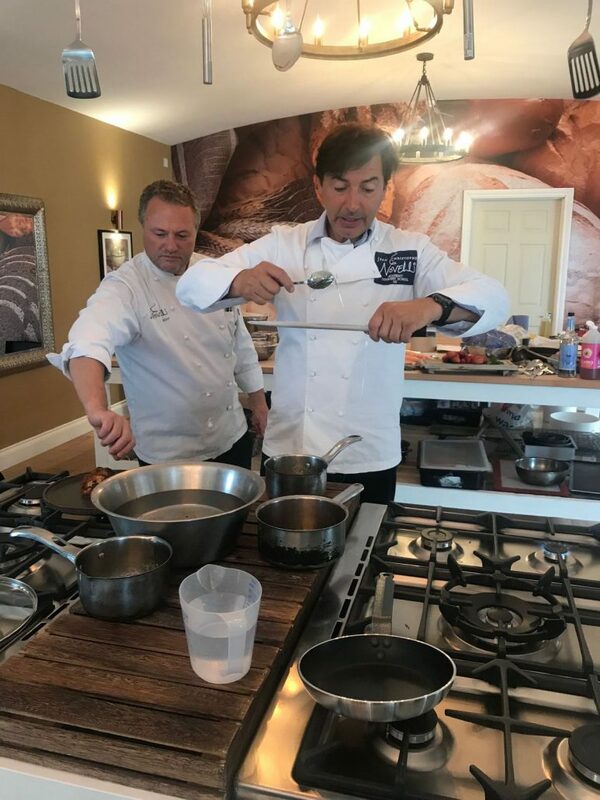 Jean-Christophe won’t be doing all the courses himself, but judging from the couple of dishes Syril talked us through, plated and served us in the evening in the restaurant, you are going to be in safe hands if you are interested in attending one of the courses. We had a pretty intensive schedule pencilled in for the day, but had to skip a couple due to timing. Being the first run of the course, this was bound to happen as they needed to run one to gauge how long us novices took with a knife. It also depends on the people attending the course as some people just take everything in or are too shy to ask questions. Our class on the other hand, were firing questions at both chefs like a machine gun, so we over ran on a couple fo courses. This did mean that we got to learn a lot more than if we kept shtum though, so not all bad. 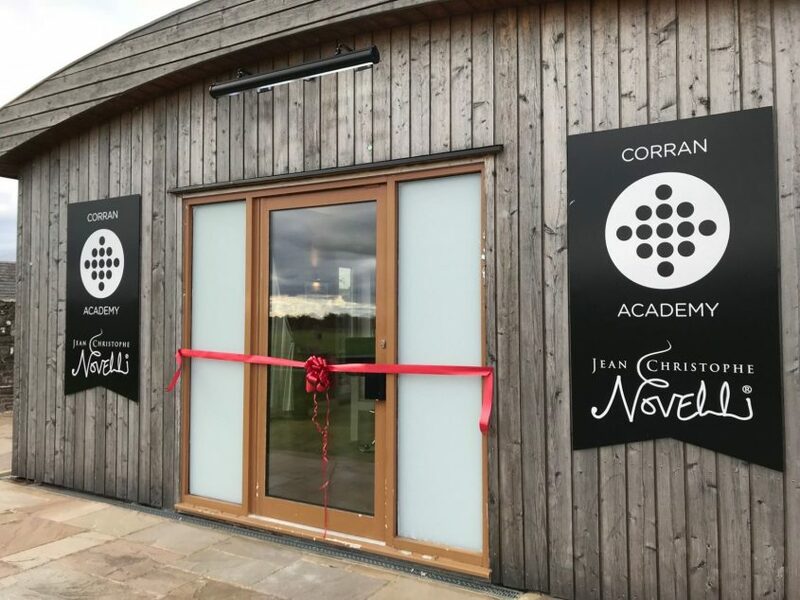 If you are looking to book a cookery course for either yourself, or a food loving family member, I’d highly recommend booking a class at the Jean Christophe Novelli Academy at the Corran Resort. If you want to buy for a partner but not too keen on cooking yourself, you’ve got a lovely little spa you can take advantage of whilst they are cooking up a sweat in the kitchen. The rooms, well ours at least were amazing, a delicious breakfast and the evening meal was superb too. So get booking and make the most of this hidden gem.